As a special offer, you can earn 75,000 Membership Rewards® points after you spend $5,000 on eligible purchases with the Business Platinum Card®within the first 3 months of Card Membership. Your application must be received by November 10, 2016 to be eligible for this offer. *American Express relies on accurate airline transaction data to identify incidental fee purchases. If you do not see a credit for a qualifying incidental purchase on your eligible Card after 4 weeks, simply call the number on the back of your Card. See terms & conditions for more details. With your Business Platinum card®, enjoy complimentary access to over 900 airport lounges, including the Centurion® lounge network3, Delta Sky Clubs®4, and Airspace Lounges5. You can also enroll in Priority PassTMSelect6, on us. Automatically get 2 additional points for every eligible dollar spent with OPEN Savings partners including FedEx, Hertz®, and others. 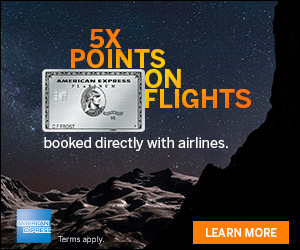 Fine Print To be eligible to earn additional points, your application must be received by 11/10/2016 and you must charge $5,000 of eligible purchases* during the first 3 months of membership on an eligible Business Platinum Card from American Express OPEN. 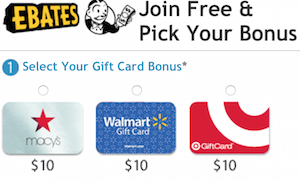 Limit one offer per Card Account. Qualifying purchases can be made by the Basic Card Member and any Additional Card Members on a single Card account. Offer may not be combined with any other special offer. If your application is not received by 11/10/2016, you will not be eligible for the 75,000 additional points after $5,000 in purchases in the first 3 months offer even if your application is approved. American Express reserves the right to modify or revoke offer at any time. 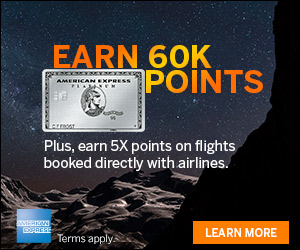 You can earn 75,000 additional points after you spend $5,000 or more in qualifying purchases on your Card within your first 3 months of Card Membership starting from the date your account is approved. In rare instances, your period to spend $5,000 may be shorter than 3 months if there is a delay in receiving your Card. Also, purchases may fall outside of the 3 month period in some cases, such as a delay in merchants submitting transactions to us or if the purchase date differs from the date you made the transaction. (For example, if you buy goods online, the purchase date may be the date the goods are shipped). The 75,000 additional points will be credited to your Membership Rewards account 6-8 weeks after you have met the purchase requirement. For questions regarding your Card account, please call the number on the back of your Card. If you are looking to pick up a new card and some MR points, this offer may be of interest to you. I do not see any language that suggests that if you have had this card before that you will not be able to get this sign up bonus which is promising. Don’t forget that there is also a New Increased Offer 50K Business Gold Rewards Card American Express. I got one in the mail this week that says the sign up bonus is 100,000. I had been thinking about the Chase Sapphire Reserve as my premium card, but it caught my attention.